Description: After Mass, enjoy hospitality in our community room with soup and refreshments. Description: Daily Mass every Saturday at 8:15am, a great way to show our devotion to Blessed Virgin Mary! Description: Religious Education classes are held at St. Mary's 261 E 8th St. Saturdays 9-10:15am for more information contact Jill, Director of Religious Ed, at 651-222-2619 X3 or 651-224-7536 X115. Description: Opportunity to go to Confession before 4:30 pm Saturday Mass. Confessions held in confessional/reconciliation room in church. Description: Protection for Children and Youth Initiative for Kindergarten thru Grade 2 with Parent/Guardian. Religious Education classes are held at St. Mary's 261 E 8th St. Saturdays 9-10:15am for more information contact Jill, Director of Religious Ed, at 651-222-2619 X3 or 651-224-7536 X115. Description: Protection for Children and Youth Initiative for Grade 3 through 7 with Parent/Guardian. Religious Education classes are held at St. Mary's 261 E 8th St. Saturdays 9-10:15am for more information contact Jill, Director of Religious Ed, at 651-222-2619 X3 or 651-224-7536 X115. Description: Protection for Children and Youth Initiative for Confirmation Class with Parent/Guardian. Religious Education classes are held at St. Mary's 261 E 8th St. Saturdays 9-10:15am for more information contact Jill, Director of Religious Ed, at 651-222-2619 X3 or 651-224-7536 X115. Description: Blest Art From the Holy Land sale after Mass in the Blessed Luigi Monti Community Room. Description: Booya will be available for purchase after both Masses in the Blessed Monti Community Room. After Mass, enjoy hospitality in our community room with soup and refreshments. Daily Mass every Saturday at 8:15am, a great way to show our devotion to Blessed Virgin Mary! 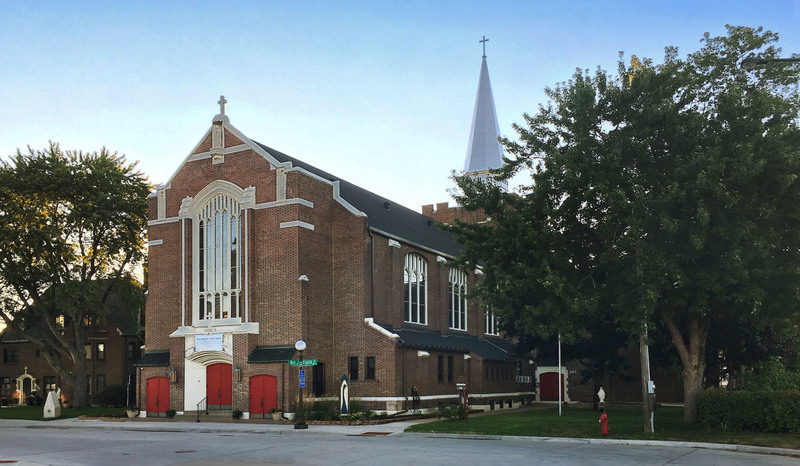 Religious Education classes are held at St. Mary's 261 E 8th St. Saturdays 9-10:15am for more information contact Jill, Director of Religious Ed, at 651-222-2619 X3 or 651-224-7536 X115. Opportunity to go to Confession before 4:30 pm Saturday Mass. Confessions held in confessional/reconciliation room in church. Protection for Children and Youth Initiative for Kindergarten thru Grade 2 with Parent/Guardian. Religious Education classes are held at St. Mary's 261 E 8th St. Saturdays 9-10:15am for more information contact Jill, Director of Religious Ed, at 651-222-2619 X3 or 651-224-7536 X115. Protection for Children and Youth Initiative for Grade 3 through 7 with Parent/Guardian. Religious Education classes are held at St. Mary's 261 E 8th St. Saturdays 9-10:15am for more information contact Jill, Director of Religious Ed, at 651-222-2619 X3 or 651-224-7536 X115. Protection for Children and Youth Initiative for Confirmation Class with Parent/Guardian. Religious Education classes are held at St. Mary's 261 E 8th St. Saturdays 9-10:15am for more information contact Jill, Director of Religious Ed, at 651-222-2619 X3 or 651-224-7536 X115. Blest Art From the Holy Land sale after Mass in the Blessed Luigi Monti Community Room. Booya will be available for purchase after both Masses in the Blessed Monti Community Room.